The 400-pages ocean travel guide, launched last week on a traditional wooden sailing vessel, encourages an alternative and nature-minded way of adventure travel. Ocean Nomad explains the ins and outs on how (and how not) to hop on a boat for a sail across the Atlantic. Packed with practical advice and stories, Ocean Nomad, persuades and guides the adventure traveller to go from the idea of “someday I would like to go on a big sailing trip”, to sipping a coconut on the other side of the Atlantic Ocean celebrating the achievement. After reading the book excuses will be thrown overboard for good and action modus is on. Called the “doyenne of sailboat hitchhikers!” by captain Lyon, Suzanne emphasizes that traversing an ocean is not just about finding a boat. Finding the right boat, careful investigation and preparation are what makes it a fun, safe, and meaningful ocean adventure. Book Ocean Nomad explains what to be mindful of. With interwoven stories throughout the book, Suzanne, who has been living more at sea than on land the last years, makes you feel, what it is like to stay on a boat with strangers for weeks in a row. What does it do to your mind, body and soul to be offline and be away from everything but nature for weeks? How to stay happy and healthy? How to deal with seasickness? How to manage waste at sea and on the islands? What does it mean to be on ‘watch’? What’s it like to arrive in a new land after weeks at sea? The author’s love for the Ocean splashes off the pages. “The fresh ocean air, day by day, jumping dolphins next to the boat, the wind in your hair, the pure connection with nature: on the ocean you find it and it gives you energy,” says Suzanne van der Veeken.” During her sailing trips and freedive expeditions, she has also seen and learned about the fast decline of the oceans. “Bags, bottles, straws, I’ve seen them all drifting past. Hundreds of miles off the coast! On every sail. On every dive.” “Once a fellow crew member thought he caught a fish. But it was a plastic bag! Every water sample that I took – a curiosity project – contained pieces of plastic. With the naked eye, you could not see it but the research results gave me a mega wake-up call” says Suzanne. 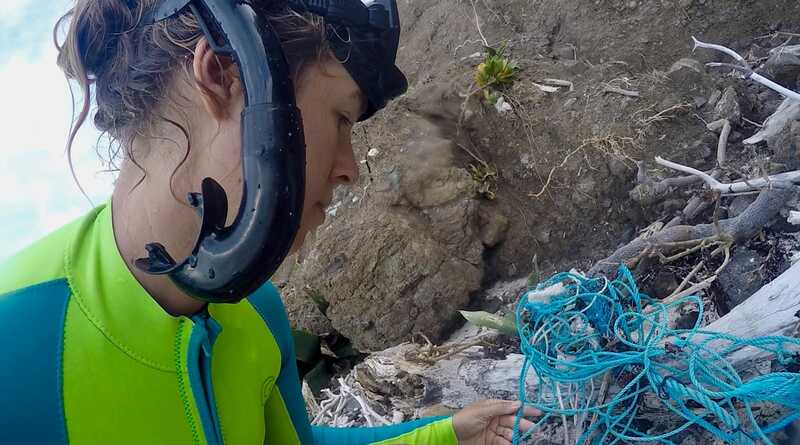 Plastic pollution is just one of the challenges. In the book, Suzanne explains in depth about the importance of the ocean, what is happening, with, for example, plastic, climate change and the fishing industry. But the main focus is on what we can do! 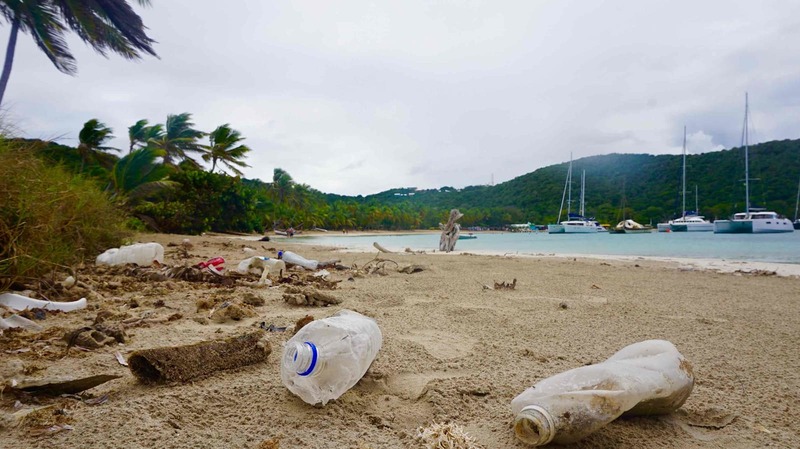 In addition to the tips and tools to make an ocean sailing dream a reality, Suzanne provides easily actionable take-aways on how we can make a positive contribution to the health of the ocean. “We can ‘just’ cross an ocean and have a memorable adventure, but we can do more! The ocean brings us so much. As fanatic users, we are responsible for bringing life back into the ocean. We have no time to lose when it comes to preserving the ocean” says Suzanne, who was one of the 100 invited Ocean Youth Leaders at the global Our Ocean summit in Malta this year. With Ocean Nomad, Suzanne hopes to get people of the couch, excite and inform others about this adventurous style of travel and connect people to the ocean. Now is the time to make the dreams happen. Because you never know what tomorrow will bring. Suzanne believes that when you experience the magic and direct dependence of the ocean, you’ll start caring more for it too. Download 60 pages for Free. No boat? No budget? No sailing experience? No problem! Now there’s a guide explaining the ins and outs on how (and how not) to hop on a boat for a sail across the Atlantic. Packed with practical advice and stories, the 400 pages ocean travel guide, Ocean Nomad, persuades and informs the adventure traveller to go from the idea of “someday I would like to go on a sailing trip”, to sipping a coconut on the other side of the Atlantic Ocean celebrating the achievement. After reading the book excuses will be thrown overboard for good and action modus is on. 27th and 28th of October book Ocean Nomad will be launched on the classic wooden Sailing Vessel Grace in Arrecife & Puerto Calero, Lanzarote, Canary Islands. The book launch event aka pontoon party will be a gathering of (aspiring) sailors, travellers, adventurers, ocean savers and the curious. The 28th of October S/V Grace will sail south to Puerto Calero for the Ocean Film Festival where a screening will be hosted of the Caribbean shot movie Vanishing Sail, to not only help revive the traditional wooden boat building, but also tourism in the Caribbean, that needs encouragement more than ever. First in the Ocean Nomad ocean adventure travel guide series, the Atlantic Ocean edition, inspires to get out there, explore and discover the ocean while making a positive difference. “This ambitious guide book is the spark that will ignite your sense of adventure and provoke your compassion to create a better world,” says Monique Mills Captain & Ocean Advocate. Ocean Nomad encourages an alternative and nature-minded way of adventure travel. The Caribbean edition is yet in the making. Called the “doyenne of sailboat hitchhikers!” by captain Lyon, Suzanne emphasizes that traversing an ocean by sea is not just about finding a boat. Finding the right boat, careful investigation and preparation are what makes it a fun, safe, and meaningful ocean adventure. Book Ocean Nomad explains what to be mindful of. In addition to practical tips, information and stories, Ocean Nomad includes +75 actionable takeaways on how sailors can make a positive difference for the ocean. “As ocean nomads, we can ‘just’ cross an ocean and have a memorable adventure, but we can do more! The ocean brings us so much. As fanatic users, we are responsible for bringing life back into the ocean. We have no time to lose when it comes to preserving the ocean” says Suzanne. Join the book launch pontoon party: 27th and 28th of October in Lanzarote, Canary Islands, Spain. Suzanne van der Veeken is an adventure-loving, curiousity seeking ocean adventurer and advocate. For over ten years, she has been slow travelling around the world, of which last four years, mostly under sail, while living a minimalistic nomad lifestyle as a location independent entrepreneur. Suzanne hitched her first ride across the Atlantic as a complete newbie to the world of sailing. 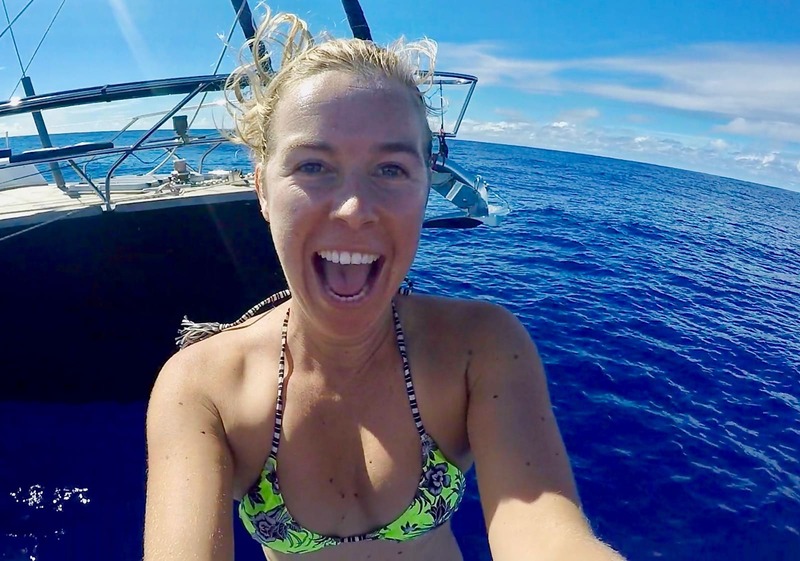 She has now sailed across the Atlantic three times on a strangers’ sailboat. In fact, she has explored almost every ocean on the planet with this alternative way of travel. She has figured out how (and how not) to catch rides on other people’s boats. Her ocean adventures have amazed her to the beauty of nature, but also the challenges the oceans are facing. With Ocean Nomad Suzanne aims to help adventure-seekers experience the magic of the high seas, to broaden horizons, and encourage positive change for the ocean.”When people have felt that connection to the ocean, they’ll be more triggered to care and act,” she says. As the ‘Oceanpreneur,’ she creates ocean adventure travel content, trips, and expeditions to excite and inform others about ocean travel and conservation. Last weekend of October the official book launch of book OCEAN NOMAD will take place on and around the classic sailing vessel ‘Grace of Aberdeen’ in Lanzarote! A grande meet-up of ocean adventurers, (aspiring) sailors, and change-makers. Discover what it feels like to wake up on the ocean, breathe the ocean air, have the wind in your hair, navigate by the stars, live simple and resourceful, and be eye to eye with dolphins. Day in, day out. – Start the adventure! Take that first step out the door. – Find a boat: where, when and why. – Plan, pack, prepare and provision as crew. – Check safety, reliability and the happy-factor of the boat, captain & crew. – Deal with seasickness, limited resources, waste, watch-keeping & more. – Make a positive difference for the health of the ocean. Packed with practical advice and stories, Ocean Nomad guides you from the idea of “someday I would like to go on a sailing trip”, to sipping a coconut on the other side of the Atlantic Ocean celebrating the achievement. About the Launch Party Weekend! Join the festivities & feel free to invite your adventure, sailing and change-maker friends. Morning: Radio Show ‘The Mix Lanzarote’ on board of ‘Grace of Aberdeen’ Theme show about crossing the Atlantic with a prominent role for the book as well as for the oceans. Fiesta on the pontoon & S/V Grace in the Marina of Arrecife. A celebration of the book with drinks and bites, and many opportunities to network with other adventurers, change-makers, and sailors aspiring and planning to sail the Atlantic. Evening: Film Screening of Vanishing Sail – the traditional wooden boat craft & Fundraise for Hurricane Irma & Maria rebuilding.www.vanishingsail.com Location Puerto Calero. Signing sessions in between the happenings and all your ‘how to catch a ride & make a difference ‘ questions answered! Now available for download & pre-order! Hope to see you in Lanzarote!